Every Sunday Foam offers free walk-in workshops inspired by the exhibition Seydou Keïta - Bamako Portraits. The exhibition offers a unique portrait of the Malinese capital Bamako, halfway through the previous century. In his studio, Seydou Keïta (1921-2001, Mali) photographed many different inhabitants living in his city: in traditional dresses with impressive patterns and splendidly formed headdresses, leaning on a scooter or with a radio under their arm. Participants create a black-and-white portrait of each other during the walk-in workshop, but with the emphasis on what represents the spirit of our time. Think carefully about your background, the light and the composition. 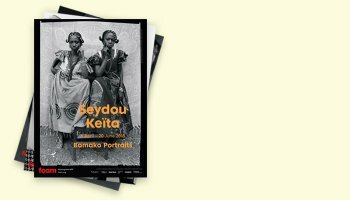 After all is set, you are ready to create your digital photograph entirely in the style of Seydou Keïta, of which you will get a printed version to take home. In the 1950s and 60s, a colourful collection of inhabitants of Bamako, capital of Mali, posed for Seydou Keïta. People visited Keïta’s studio to have their picture taken at their best. His oeuvre reflects a portrait of an era that captures Bamako’s transition into the proud capital of independent Mali. 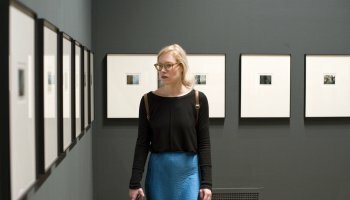 The exhibition Seydou Keïta - Bamako Portraits was developed in collaboration with the Contemporary African Art Collection (CAAC) – The Pigozzi Collection.